“How long did it take you to write your book?” David asked, holding out his copy for me to sign. “Two years to write, but at least a decade of research,” I probably answered. That’s what I usually say, but it’s only part of the truth. 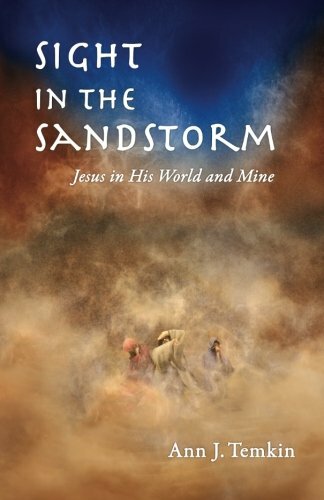 Sight In The Sandstorm: Jesus in His World and Mine was actually birthed from a much longer journey which began in the broken heart of a five year old, wound its way through startling spiritual experiences, several faith traditions, a couple of graduate degrees, ordination, preaching and finally a “yes” to writing. My research involved using my head a lot, but was driven by my heart. As I grew older, I learned from other experiences – children chasing me, throwing stones and yelling “dirty Jew” – that a lot of people who said they followed Jesus didn’t like Jews. Since Jesus was a Jew, this was extraordinarily perplexing. At 19, visiting a friend’s church, a sudden experience of God’s presence overwhelmed me and set me on a Christian path. But I didn’t find a Jewish Jesus in any of my varied church experiences, and a Master’s Degree in Theology didn’t solve the puzzle either. My impression was that for most people Jesus had been born a Jew but became a Gentilesomewhere along the line. The boy Jesus was presented in the temple and dialogued with rabbis. The adult Jesus is shown with wavy brown hair and narrow features, and the Gospel of John (20:19) says “the disciples were together with the doors locked for fear of the Jews.” The Jews? Well, weren’t the disciples Jews, too? Decades later I found myself in a small, round church with a Star of David skylight in the middle of the ceiling. For three months I sat under that Star and wept. Until then I had been part of two worlds. Could my two worlds be coming together? I had to uncover my Jewish roots and find the Jewish Jesus, too. Marvin Wilson’s book Our Father Abraham: Jewish Roots of the Christian Faith, my first read on the subject, opened the door for decades of study. In Jesus’ day the Roman Empire ruled Palestine. Gone were the patriarchs, like Abraham, gone also kings like David. Now the Roman Empire ruled Palestine. Now the landscape was overrun by Pharisees and Sadducees, Zealots and tax collectors. Books like The New Testament World: Insights from Cultural Anthropology by Bruce Malinaand Palestine in the time of Jesus: Social Structures and Social Conflicts by Hanson and Oakman helped me understand the socio-economic, political and even religious ramifications of oppression under the Empire. Ninety-eight percent of Jews were poor and trapped. 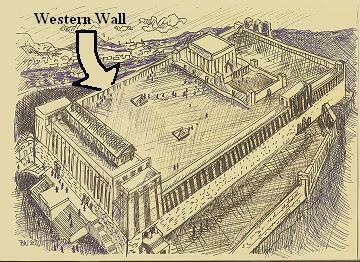 Crops were grown to enrich the conquerors; even the Temple was turned into a money maker for Rome. It was a volatile time. 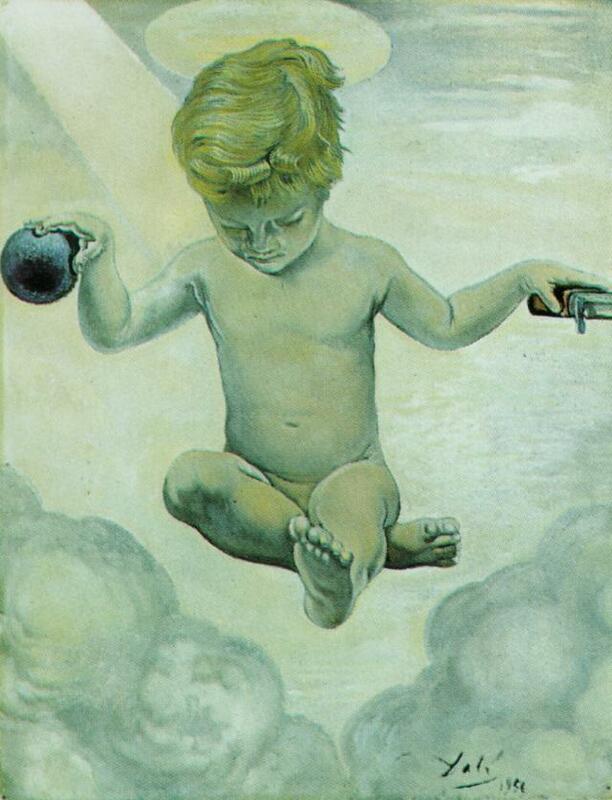 Revolution was in the air. Those whom Rome saw as a threat to the status quo were crucified. At age 61, while immersed in this reading, I was also finally ordained. By now I was studying the Scriptures in a new way, exploring the Hebraic language behind the Greek. I learned more about daily village life and began including this context in my sermons. How and where did the people live? What work did they do, and for whom? What did they eat? What was family life like: marriage, divorce, celebrations? I was reading everything I could find in libraries and on the internet. Jerusalem Perspectives, a website making available the work of Jewish and Christian theologians working together, was particularly helpful. I became fascinated with the parables – stories like the 10 talents and the prodigal son that Jesus told to make a point. Brad Young’s The Parables was one of the books that turned on light bulbs. Today’s churchgoers have heard the parables so often, and without any historical context, that they have minimal impact. But to Jesus’ audiences the stories would have been shocking! The references to the oppression of the day, the devastating economic policies of the Empire would have been obvious to them. And so I began to preach that the story usually called “the prodigal son” is more about Jesus’ extravagantly loving God than about youthful sin. God is like the father who rushed to meet the wayward son. This father picked up his cloaks to run; that means he didn’t care what the neighbors thought, not even that he was showing his ankles! And the story about the horrible judge and the widow who kept badgering him for justice until he finally gave in? Jesus’ audience all recognized that judge! Perhaps the story was not meant to say we must wear ourselves out begging God endlessly. Perhaps Jesus was contrasting God to this uncaring judge: “he [God] will see that they get justice, and quickly” (Luke 18:8). My heart was beating fast; I was learning a lot and speaking in churches and seminaries. People began urging me to write. I dismissed the idea. Finally I decided to wrestle with the idea of a book and make a decision. Writing won. I had to get what was inside me outside of me, in other words, I had to give birth. I would write in accessible story form. That was the beginning of one more stage of research. Now I had to check details and uncover concrete information. And “what was the hardest piece of research,” you ask. “Fishing.” Fishing comes up a lot in the Gospels. 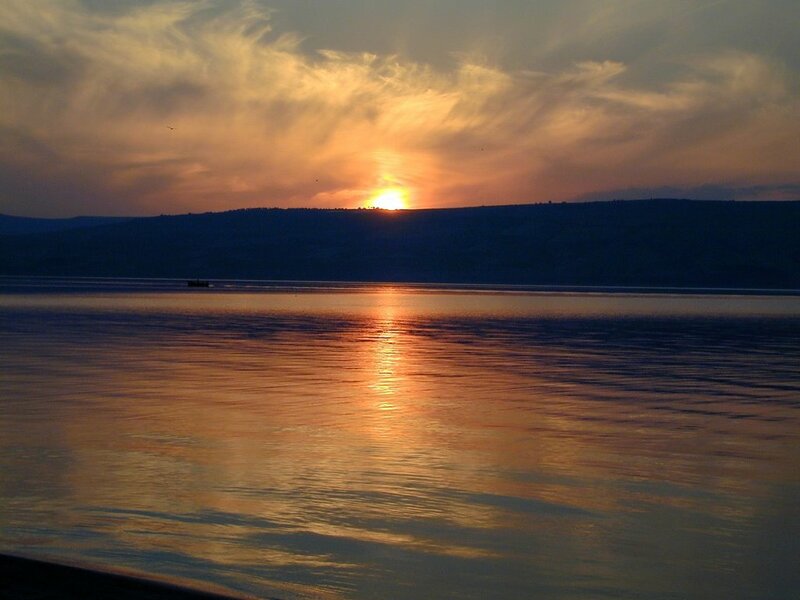 Peter and Andrew, James and John were all fishing when Jesus invited them to follow him. Jesus provided a miraculous catch for the disciples who had caught nothing all night. Palestinian fishermen used all kinds of nets, as well as different methods of fishing, some at night, others during the day. And I have never fished even once! I did figure it out, though, along with many other things, and a book did result. After a mighty sandstorm comes a bursting blue sky. I often find it hard to make sense of our troubled world. In my personal sandstorms, sometimes God is very hard – or impossible – to find. Jesus’ story, however, is one of hope. The Roman Empire killed him, but the Empire did not have the last word. The empires of our day need not have the last word. God is on the loose – through us, and we can set the prisoners free, make our way through the sandstorms and dance together under blue skies. 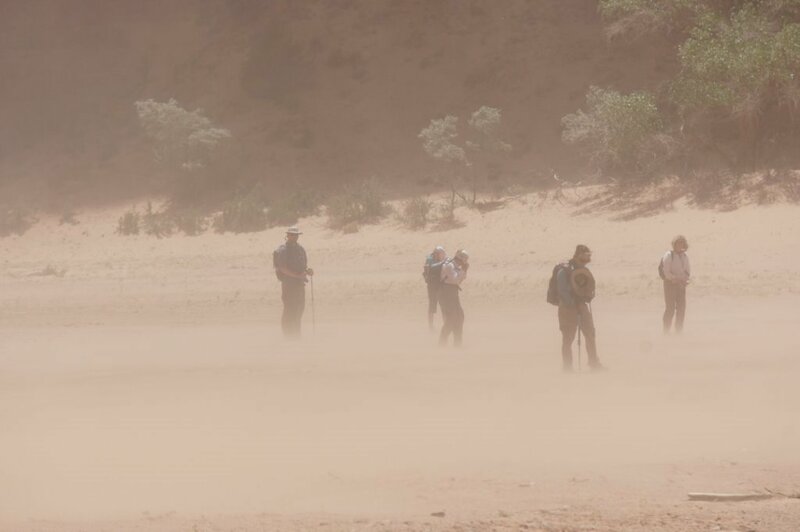 What sandstorms have you walked through? What blue skies have burst upon you? Writing is a way of speaking to the world. What is it you need to tell us?